Craftier Creations: 24 Hour Flash Sale. Happy 30th Birthday Stampin' Up!! 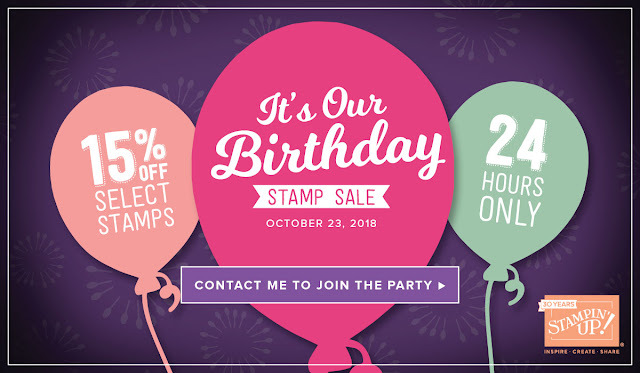 Today is Stampin' Up's 30th birthday!! You can get 15% off selected stamp sets for 24 hours only! Click here for the PDF list. Also, don't forget to use the Hostess code Y6BRECDH.